We welcome new members of any age and experience! Drop by a rehearsal, or check our Contact Us page. 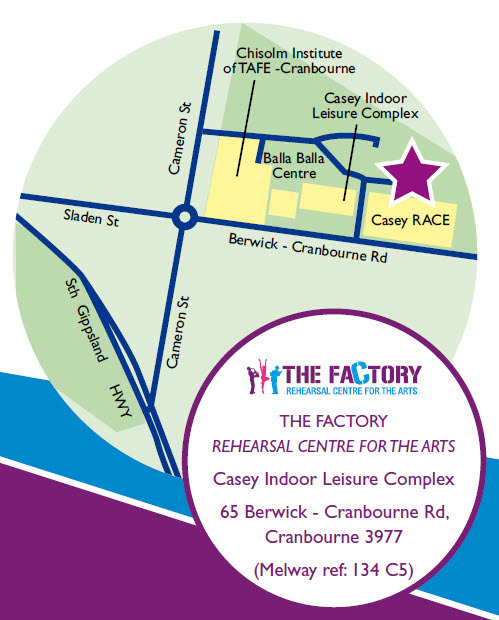 We rehearse Tuesday evenings 8:00pm to 10:00pm at The Factory – Rehearsal Centre for the Arts, next to Casey RACE (65 Berwick-Cranbourne Road, Cranbourne). Fees are applicable for the year August to July. They are payable by the night of the Annual General Meeting in August. Members joining part of the way through the year are eligible for a reduced rate on their fees for the year. Please talk to the Treasurer for more information.